Earlier this week, Motorola had officially announced the Droid Turbo 2 in the U.S, and the device will be on sale starting from today. The device comes with a shatterproof display that uses the company’s five layer Moto Shattershield technology and also includes four years of shatterproof warranty. As per the company, the battery on this device can last up to 48 hours. 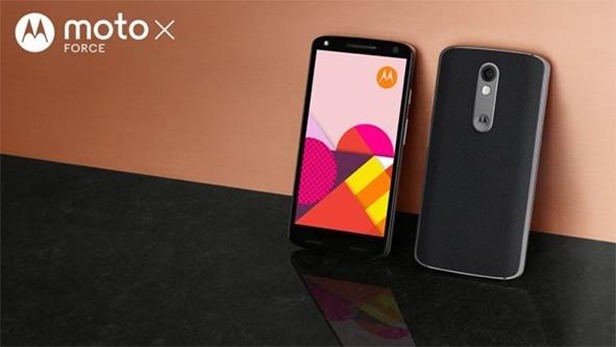 The same Droid Turbo 2 is now launched in the international markets as Moto X Force. While the Droid Turbo 2 was just limited Verizon, the Moto X Force will support other network carriers. It comes with a 5.4-inch AMOLED display with Quad HD resolution. Under the hood is the 64-bit Snapdragon 810 processor along with 3GB of RAM. The device will be available 32GB and 64GB storage variants, and also includes a MicroSD card slot with a storage capacity of 2TB. It runs on vanilla flavored Android 5.1 Lollipop with a few minor tweaks and is confirmed to upgrade to Android 6.0 Marshmallow. There is a 3,760mAh battery with turbo power charging and wireless charging support. On the camera front, it has 21MP rear camera with an aperture of f/2.0 and PDAF technology for faster autofocus. On the front, it has a 5MP selfie camera with f/2.0 aperture. The device also includes water repellent nano coating which makes the device splash-proof. Connectivity on this device includes 4G LTE, Wi-Fi, Bluetooth 4.1 LE, GPS/A-GPS, and MicroUSB 2.0. The device will be available in the Europe, Latin America, Middle East and Asia Pacific markets starting from November. Coming to the price, the 32GB variant is priced at £499 (approx $766 / Rs. 49,900) and 64GB variant at £534 (approx $820 / Rs. 53,400). There is no exact pricing or the launch date mentioned for the Indian market, we will be updating the article once we have any information from the company.